Gamestar Mechanic comes with a number of interesting sprites with multiple abilities, some of which can be quite subtle. To help you get the full value from your Gamestar Mechanic experience, this article describes ten of these sprites (or groups of similar sprites) and the interesting ways in which you can use them. Despite how interesting the population counter is, system sprites aren’t covered; this list describes only the uses for certain interesting physical objects in your games. Many of the sprites described are available in the Premium version of Gamestar Mechanic. However, they aren’t the only interesting sprites — you can always find more things to do with the ones you have! Energy sprites are useful for making dynamic games in which enemies interact with enemies and items rather than exclusively complement the avatar. Both sprites have their own energy meter, which causes them to frag after a certain amount of time. The Naviron grazer replenishes energy by eating plants, whereas the Naviron gnasher replenishes energy by chasing down and fragging grazers. This unique concept allows enemies to follow goals or to be fragged without intervention from the player, giving the enemies games of their own to play. These dynamic sprites match up well with the population counter, requiring the player to participate in, and manipulate, the game systems in order to win. 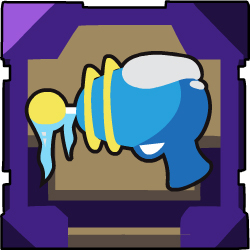 The freeze blaster, as well as the avatars that wield it (for example, the Altair iceman and Altair freezer), add an interesting aspect to many games. Frozen enemies are immobile for a while, and they act as solid objects, which means that they can be used as platforms and can block other sprites trying to pass them. Frozen enemies are still affected by gravity, so they can frag other sprites by falling on them as well. The ability to create temporary solid walls via projectiles is extremely useful in making interesting games. The player can turn enemies into platforms to reach ledges, cover damage blocks, restrain the enemy and its allies, and more. You can build many different games around the freeze blaster, so combine it with various enemies and weapons. The Phasing power-up, used automatically by avatars of the Karakuri school, grants a powerful ability with many possibilities. The phasing ability allows the avatar to turn invisible, waiting in place while being immune to all non-system sprites. Phasing avatars also defy gravity: They can hold themselves in the sky and then drop to the ground regardless of how fast they were moving. This ability allows avatars to survive tighter spaces and make more precise jumps. The gameplay of phasing avatars often relies on timing because players have to phase often enough to avoid enemies while still getting where they need to go. In this way, the phasing power effectively complements strict game spaces and sprites such as the timer. 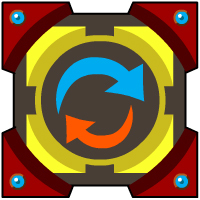 Every teleporter consists of two sprites: a teleport origin and a teleport destination. Avatars and enemies can use these sprites to travel from one tile to another tile. A simple concept on the surface, this action is extremely useful because it can break the traditional rules of moving through space. Whether teleporting short or long distances, and whether the player takes the portal voluntarily or automatically, the teleporter can completely change the format of the level. This property is extremely powerful: You can use a few portals to cycle the player through disjoint rooms; use many portals to create elevators or menu systems; or use another arrangement to shape your level the way you want. Large sprites, such as megachasers and megasnipers, have many interesting characteristics — particularly, the abilities and inabilities associated with their size: They cannot move or fall through small passages, and their size makes them collide with sprites much more than other enemies do. Giant sprites are even more interesting with blasters. For example, if you make a platformer game, having an avatar and a megasniper fire at each other from the same height, the bullets don’t collide in midair. In addition, specific megasnipers (such as the megadragon and the Acheron megasniper) can fire three bullets at a time in an angular pattern. These ideas can be used to make fighting games much more interesting. Naviron avatars and enemies generally don’t use blasters — the defender, guardian, knight, hero, lancer, and sentry all use a unique form of melee combat. These weapons have a number of properties that make them quite different from blasters. 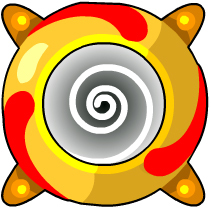 The shield is an item used by all Naviron avatars (except the scout) and by the sentry enemy. When used, it acts as a solid wall so that sprites are deflected off a shield, just like a block. The shield’s possible use as a portable platform or wall makes it useful in a variety of games. Meanwhile, the sword (used by the knight and the hero) and the spear (used by the lancer) have similar characteristics. They block bullets like shields but, rather than simply turn away opponents, push them back two squares. This ability makes the Naviron sprites useful for many different types of fighting and strategy games. 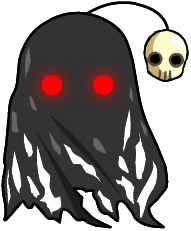 The ghastly phantom is a unique sprite in several ways. It is immune to practically every collision and can be fragged only by moving off the screen or having a solid object appear over it (via the freeze blaster, goal block, or phoenix block — swords, shields, and motion blocks don’t work). 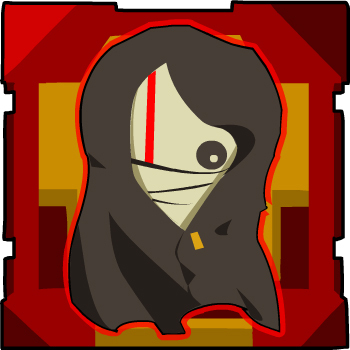 In addition, the ghastly phantom defies gravity and can chase the avatar when close, making it useful in many platformer games. The avatar also moves faster when close to a phantom (as well as other sprites that chase the avatar), a phenomenon that can be expanded into some interesting games. The backpack is an extremely useful sprite because of the amount of power it grants the player. 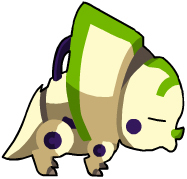 Using the backpack, the avatar can save collected items for later, using health, armor, energy, and power-up items at any time during the game. You don’t have to space items evenly throughout the game; therefore, it becomes the responsibility of the player. 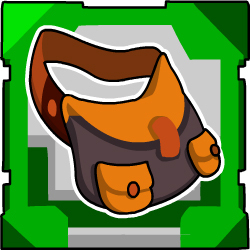 The backpack is useful in customizing the avatar, because you can provide many options for the player in order to help with upcoming challenges. You can use this feature to add an element of strategy to your games, if you carefully balance the player’s item supply. 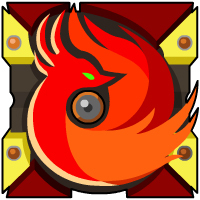 The phoenix block is a powerful, destructible block that can link to any other non-system sprite in the game. If the linked sprite is destroyed, the phoenix block causes it to regenerate within ten seconds. As with the phantom, this effect doesn’t work on sprites that leave the boundaries of the level or that get stuck in solid objects. Similarly, a regenerating solid object can frag overlapping sprites upon reentry. If you set a phoenix block to regenerate targets instantly, the regenerated sprite doesn’t regain its full health. The phoenix block is one of the most versatile sprites in the game. You can use it to make endless items, unstoppable enemies, and all manner of walls and barriers. You can even connect a phoenix block to the avatar, if you design the gameplay accordingly. The transmogrifier has an incredible number of possibilities. This destructible block fires bullets that damage enemies, and it can be turned off or on when the avatar collides with it. The transmogrifier’s defining ability is that whenever it frags an enemy, it turns the target into another enemy or an item of your selection. The transmogrifier has dozens of possible uses. You can use it on enemies to damage them, make them stronger, change their direction, or turn them into items — these possibilities are useful in composing any number of action or puzzle games. Add multiple transmogrifiers to create more possibilities. 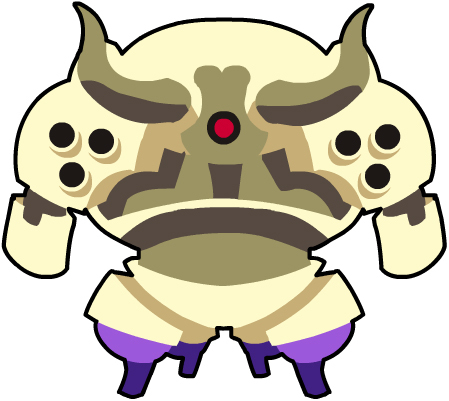 Experiment freely with this versatile sprite to make many unique games.